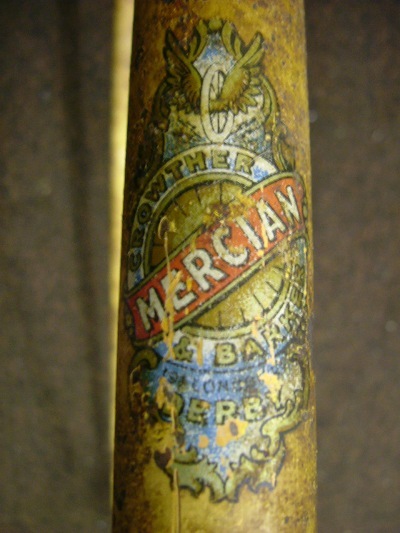 The name Mercian Cycles relates to the ancient kingdom of Mercia. 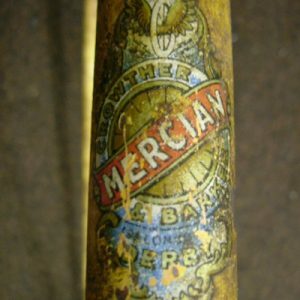 The capital of Mercia was the picturesque village of Repton where Mercian kings are buried in St Wystan’s Church in the crypt dating back to the 7th Century. 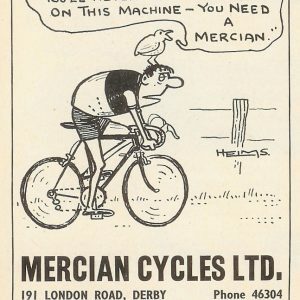 Mercian Cycles began as a cycle shop in London Road, Derby in 1946. 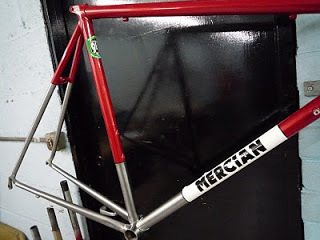 Shortly afterwards Mercian frames were being built in a small workshop in Castle Street, off London Road. 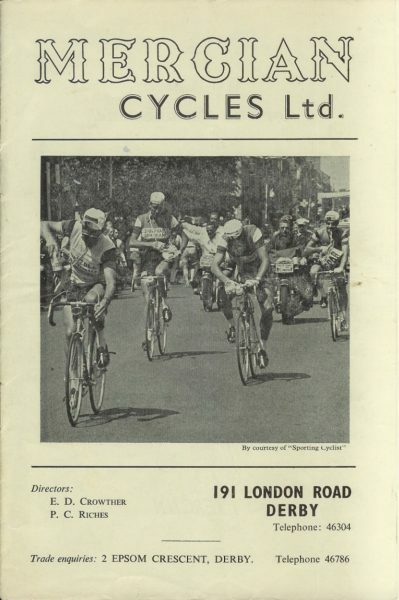 The frame building unit moved to Bloomfield Street and Osmaston Mills followed by a move in the mid 1950’s to Ascot Drive Industrial Estate. 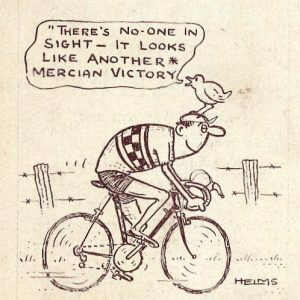 This photo was taken outside London Road Mercian shop in 1950, when members of the Mercury Cycling Club met for their run to Whitemeadows’ Youth Hostel. This event started the social season off. 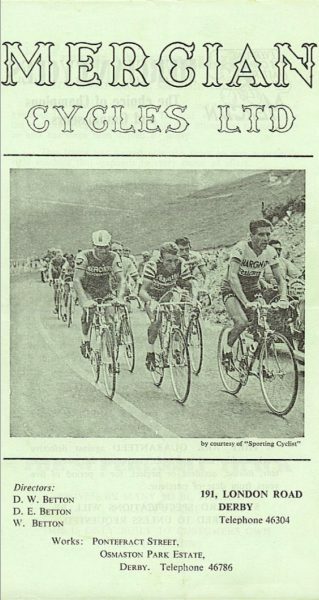 Lou Barker can be seen in the doorway. 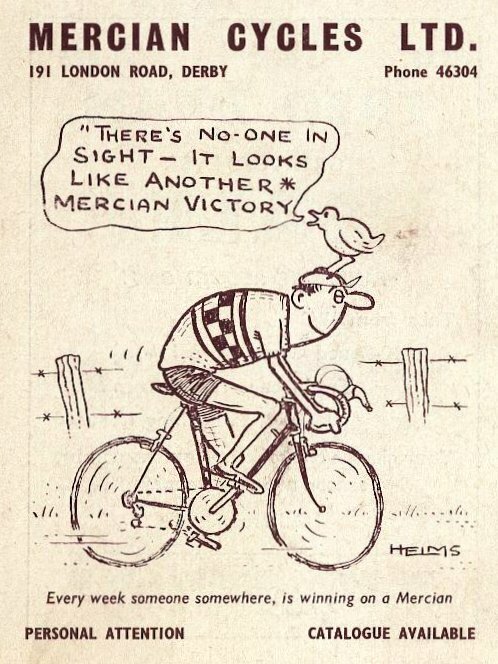 Tom and Ethel always made cyclists of all clubs welcome in their shop, if only for a chat. 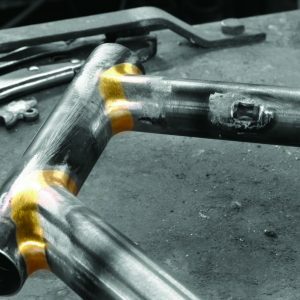 In 1965 a larger purpose-built workshop was built on Pontefract Street, off Ascot Drive, Derby – where craftsmen of Mercian Cycles still hand-build and finish frames today continuing to use the traditional methods to create frames that are recognised worldwide for the quality of workmanship, accuracy of construction and beautiful long lasting finish. 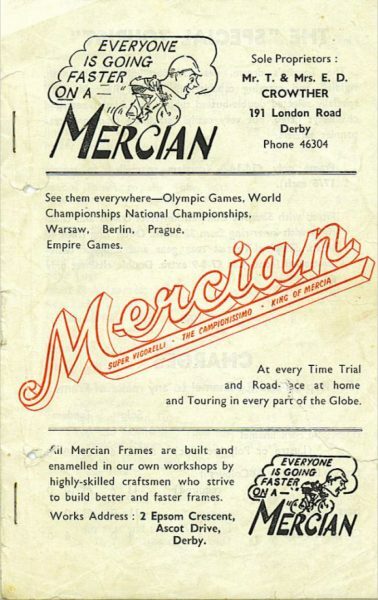 The Mercian shop remained on London Road until 1971 when it moved to bigger premises at The Cavendish, Normanton. 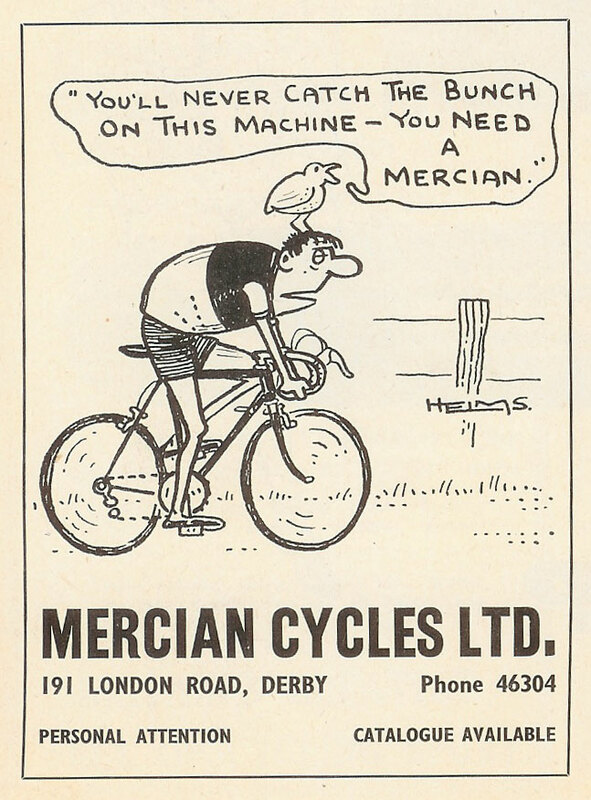 In 1984 the shop moved agin to a much larger premises in Alvaston. 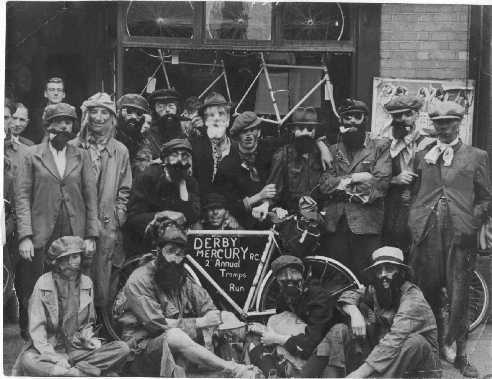 Late 2018 saw the closure of the Alvaston shop mainly due to the influence of the internet and we all moved to our premises on Pontefract Street. 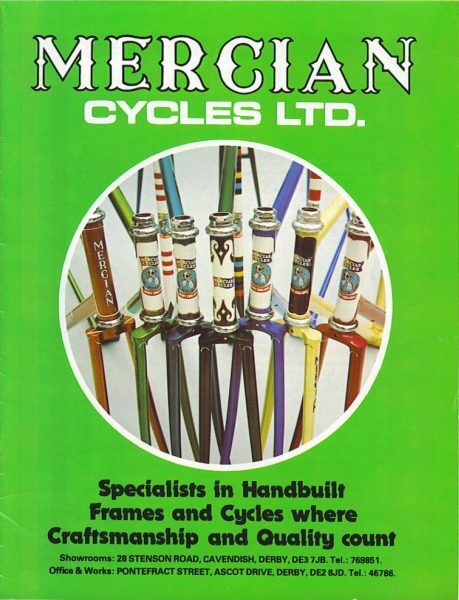 At Mercian we are proud of the heritage, history and traditional frame-building methods still used today. 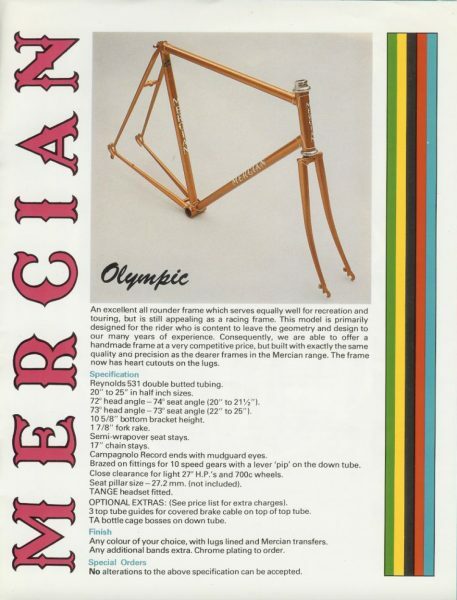 We keep frame records dating back to the 1970’s which are often referred back to, when owners want to trace the beginnings of their Mercian frame, as well as for subsequent frame orders for customers wanting exactly the same geometry and size that they have had before. 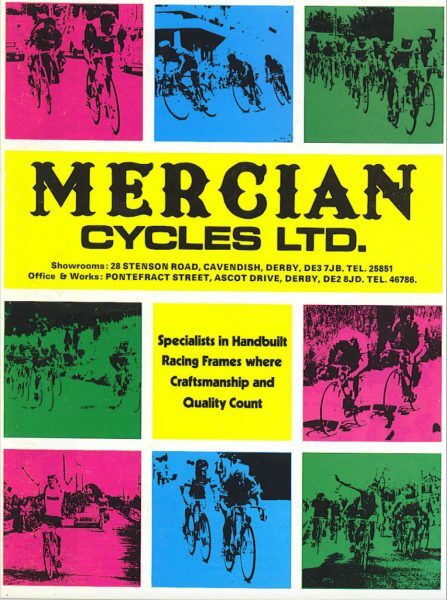 In 1984, the Mercian shop moved to even bigger premises at Shardlow Road, Alvaston. 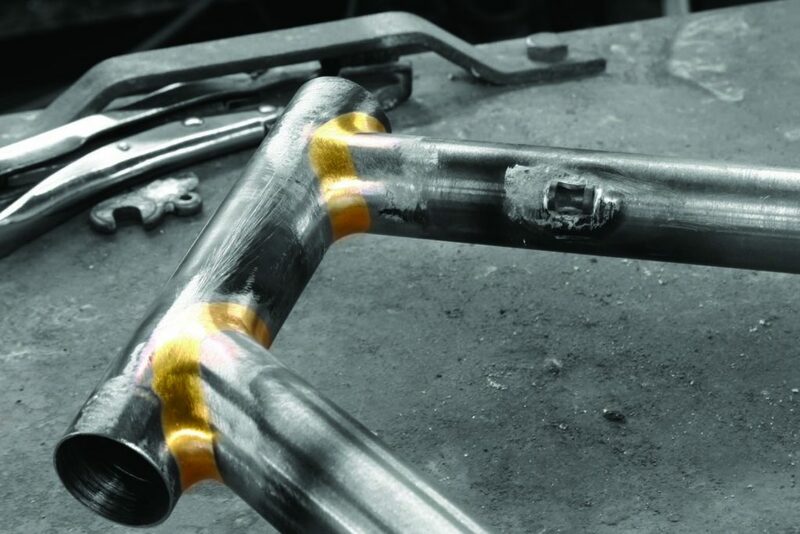 The transfer style was updated further in the late 1980’s to the new ‘block’ style.